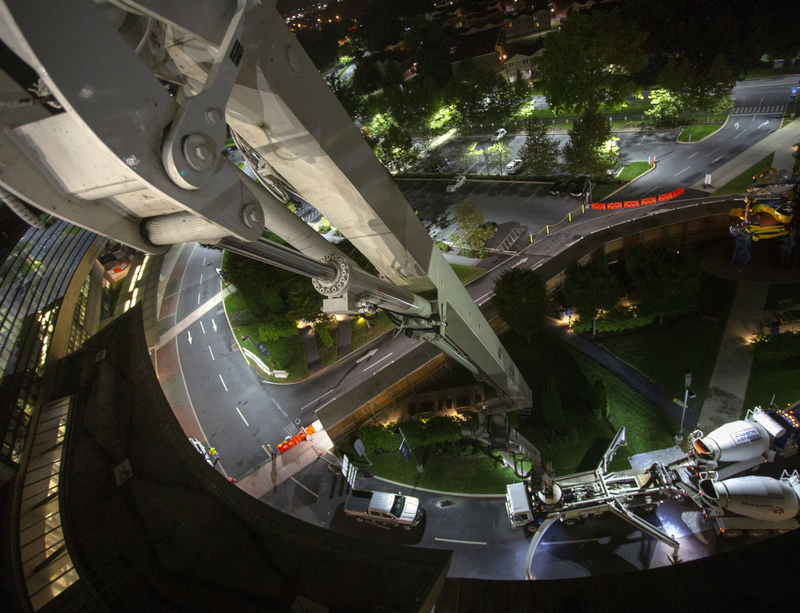 A parade of 24 concrete trucks in the early morning hours marked the next phase of the three-floor expansion of Penn State Children’s Hospital. 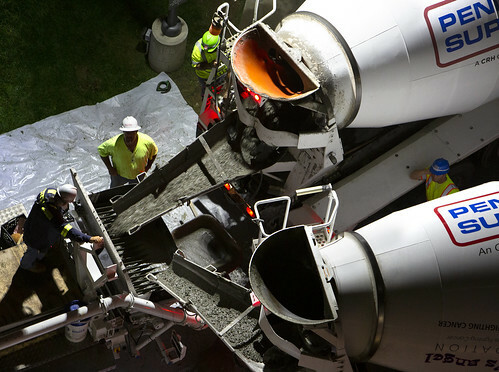 Around 2 a.m. today, the trucks hauled in 240 cubic yards of concrete for the 126,000-square-foot addition to the building. In all, the project will require 2,500 cubic yards of concrete. The work was performed overnight to minimize disruption to traffic on the Hershey campus. Additional overnight pours will take place in the coming weeks. The 126,000-square-foot addition is expected to be complete by 2020. It will provide space for a new labor and delivery unit and post-partum patient rooms, as well as a new neonatal intensive care unit — all of which will be relocated from the their current locations in the adult hospital. The addition also will include an 18-bed pediatric acute care unit. As part of the project, approximately 14,000 square feet of the existing fifth floor of the Children’s Hospital will be renovated from office space to provide another 14 pediatric patient rooms, team care stations and support spaces.